If you think black leather boots are only for motorcyclists, then you need to think again! There are super work boots out there that look as good as any pair of motorcycle boots. Or combat boots. Or hunting boots. You get the idea. The best design blends good looks ... (see full details) (see specifications) #TB0A1FZP001. If you think black leather boots are only for motorcyclists, then you need to think again! There are super work boots out there that look as good as any pair of motorcycle boots. Or combat boots. Or hunting boots. You get the idea. The best design blends good looks and attitude. The Timberland PRO Men's Black TB0A1FZP 001 6 Inch Boondock CT Work Boots are the epitome of this blending. They're the fashion footwear you’ve always wanted. They’re also the men's work boots you’ve always needed, right there in the same design. These Timberland PRO Boondock boots are just teeming with features. First up is the waterproof features. Most people just buy footwear that let veritable rivers of water in, but not these! They feature technologies designed to keep water out, like waterproof membranes. Water-impermeable membranes keep feet drier and deliver superior waterproof protection. They also provide blood-borne pathogen protection. Furthermore, the waterproof leather has been specially treated to give it waterproof properties, which causes liquids to bead up and shed from the surface. Nasty, soggy men's work boots are no more! The premium waterproof leather with its waterproof membranes also provide for abrasion resistance, thanks to the Ever-Guard™ Leather. The high-wear areas are reinforced with Ever-Guard™ leather to enhance durability in rugged worksite conditions. But black work boots aren’t just supposed to keep you dry. They’re also supposed to provide safety features, too. The composite safety toe has been shaped on TiTAN® last for non-metallic protection and a superior fit. These lightweight, non-metallic toe caps meet I/75 and C/75 impact compression, and they meet ASTM F2412-11 and F2413-11 safety standards. Additionally, the all-weather thermal plastic urethane (TPU) outsoles feature a low-temperature formulation to maximize traction on cold surfaces and have been tested using SATRA TM144:2007 frosted rough ice surfaces to extend flexibility in cold environments. Other comfort features give this boot the edge. First of all, the weight of a single boot, about size 9, is 2.29 pounds. You’ll feel like you’re wearing your socks! Well, almost, anyway. Fiberglass shanks give you structural support. Also, the dual-density dynamic anti-fatigue technology absorbs shock and returns energy at key zones of the foot. Also in terms of support, the rigid external heel cup provides lateral stability. For added comfort, the padded top collar on the Timberland PRO CT boots provides a nice barrier between your ankles and the leather. 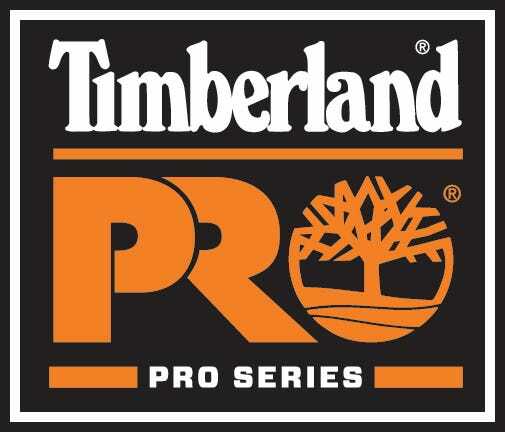 The Timberland PRO Men's Black TB0A1FZP 001 6 Inch Boondock CT Work Boots feature added safety features, like extraordinary traction. The outsoles feature deep lugs for traction in mud and snow, are they are slip-resistant and feature oil resistance. The oil resistance has been tested for volume swell using EN345 TMP ASTM fuel A 7 Diesel ISO 1817 liquid for 22 hours and ASTM IRM903 and Fuel B for 46 hours. So you know that you’ll be safe! You’ll love the dual-purpose top hardware for instant lacing customization. You can adjust as necessary. These men's safety toe boots are made with a combination three-quarter Goodyear welt/cement heel construction for superior outsole construction. Timberland PRO Boots: Men's Black TB0A1FZP 001 6 Inch Boondock CT Work Boots is being added to your cart.